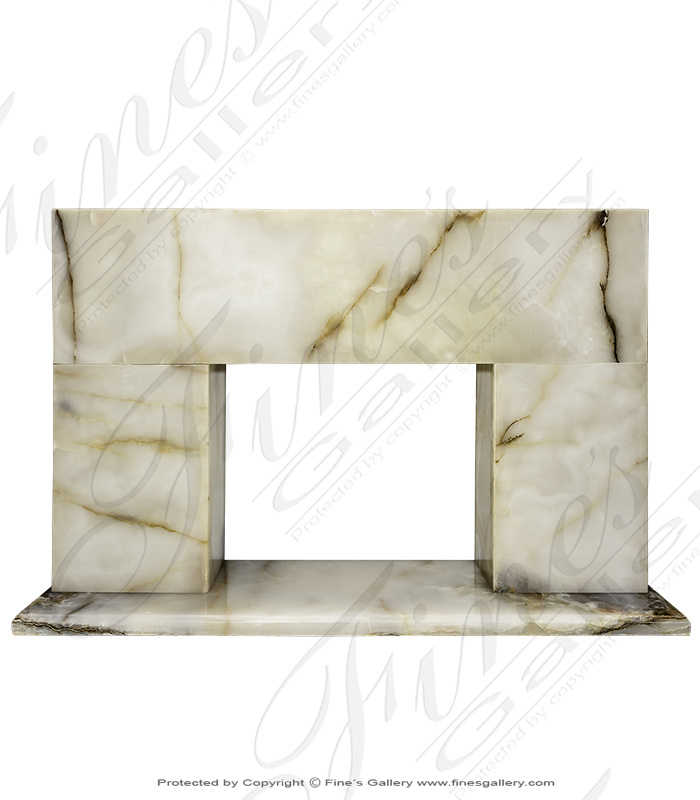 Contemporary Calacatta Marble Surround XVI featuring a polished finish and matching hearth slab. Pairs well with our calacatta porcelain tiles. Contact a sales rep today at 1.866.860.1710. 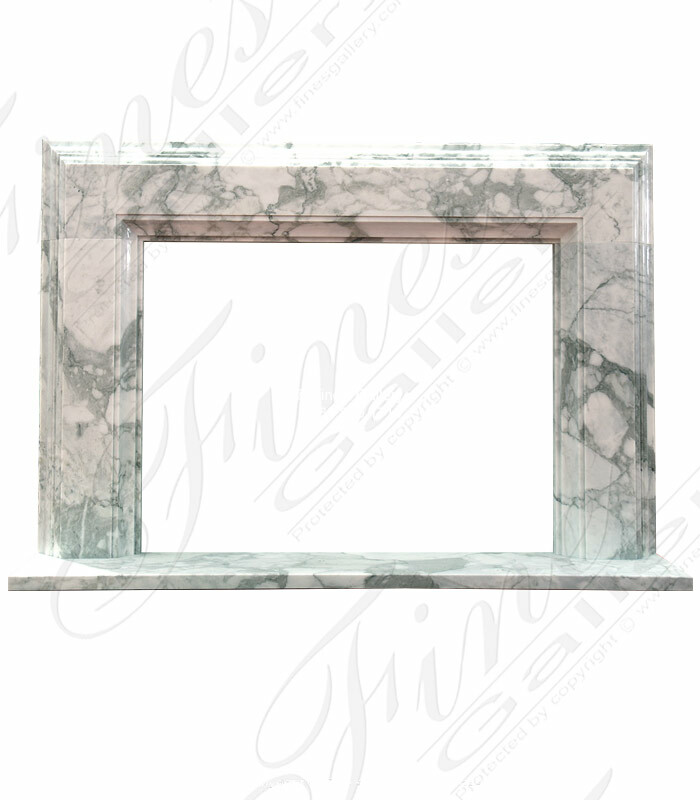 Calacatta Marble Surround XVI. 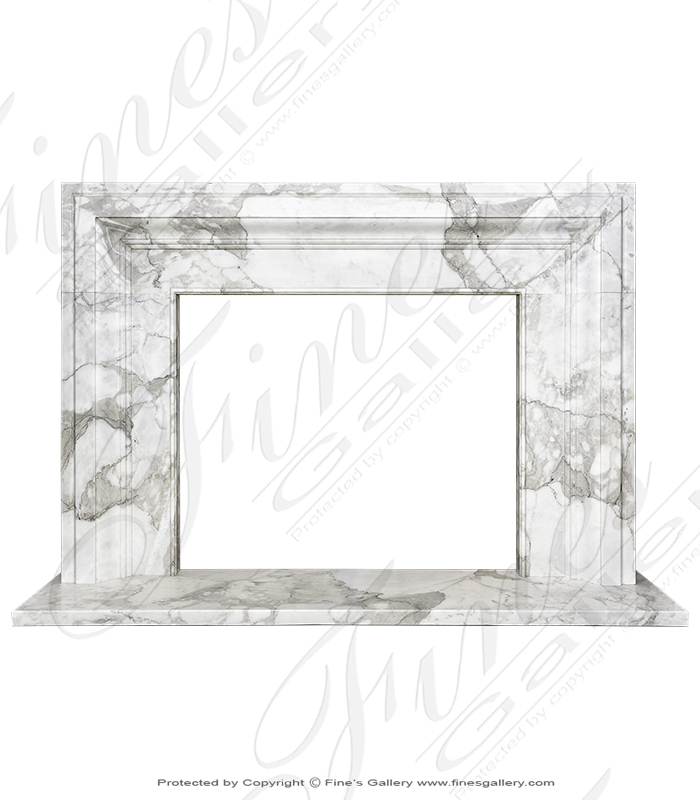 Featuring high polished hand picked Italian quarried calacatta marble. Includes matching hearth slab. 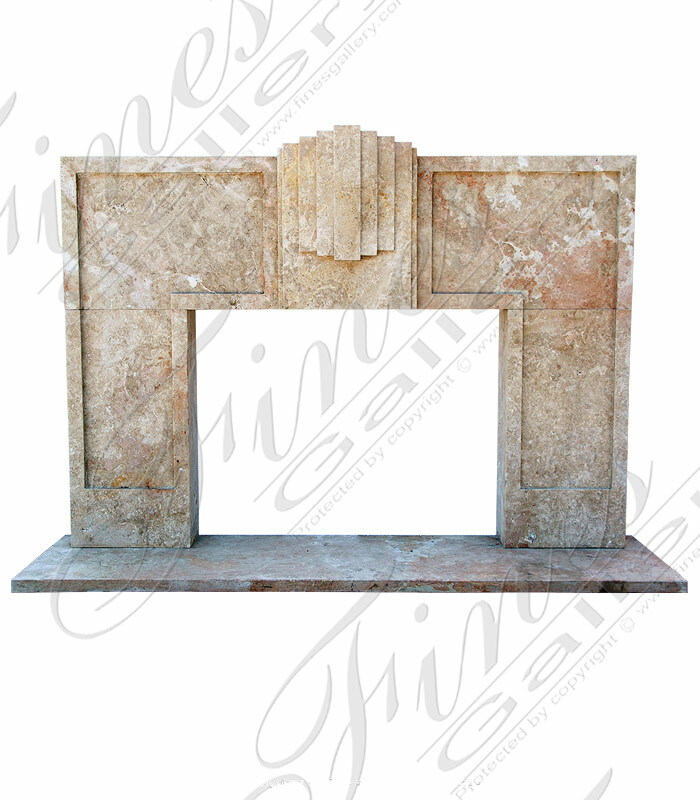 Art Deco Mantel. 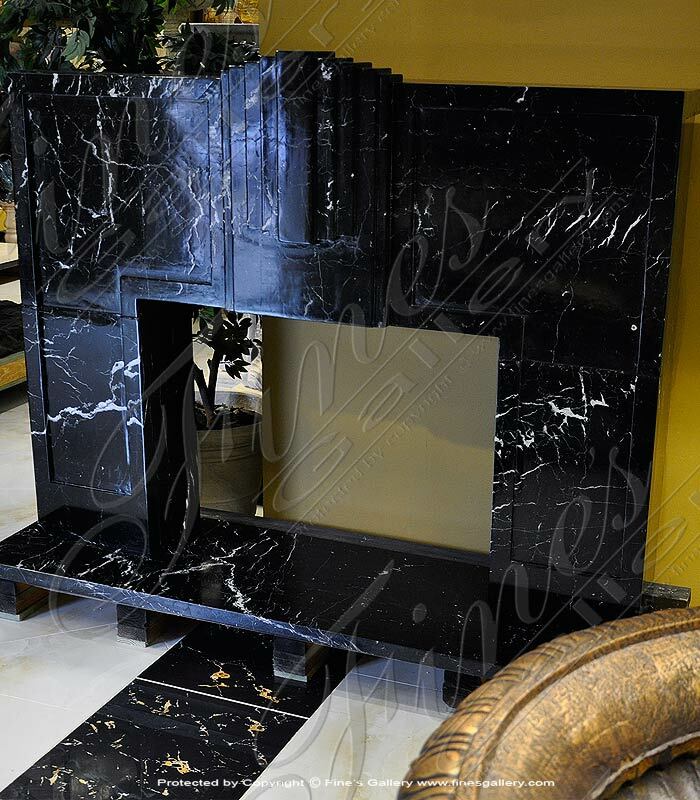 Black marble surrounds the fireplace in a sophisticated design, embodying both luxury and regal taste. Simply cut lines create a feeling of modern grandeur to be enjoyed for years to come. 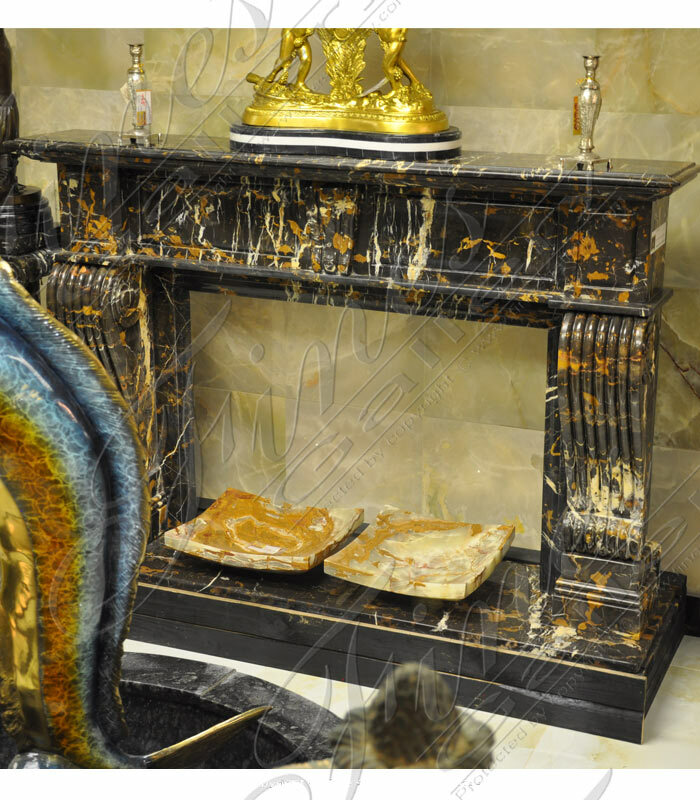 Furnish your home with the rich luxury of Nero Portoro marble, a black background naturally colored with distinct patterns. 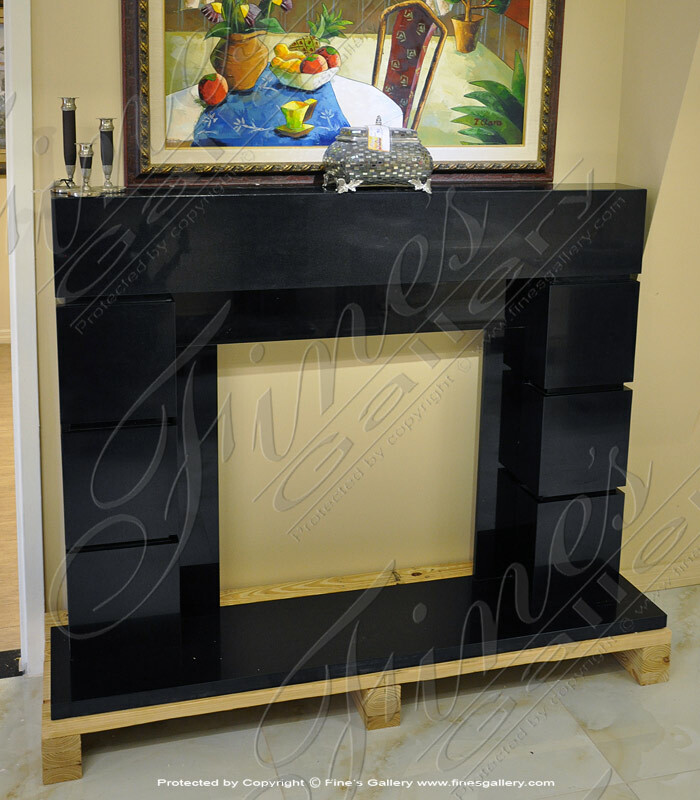 This beautiful fireplace is modern and elegant with a rectangular frame echoed three times and a simple mantel and hearth. 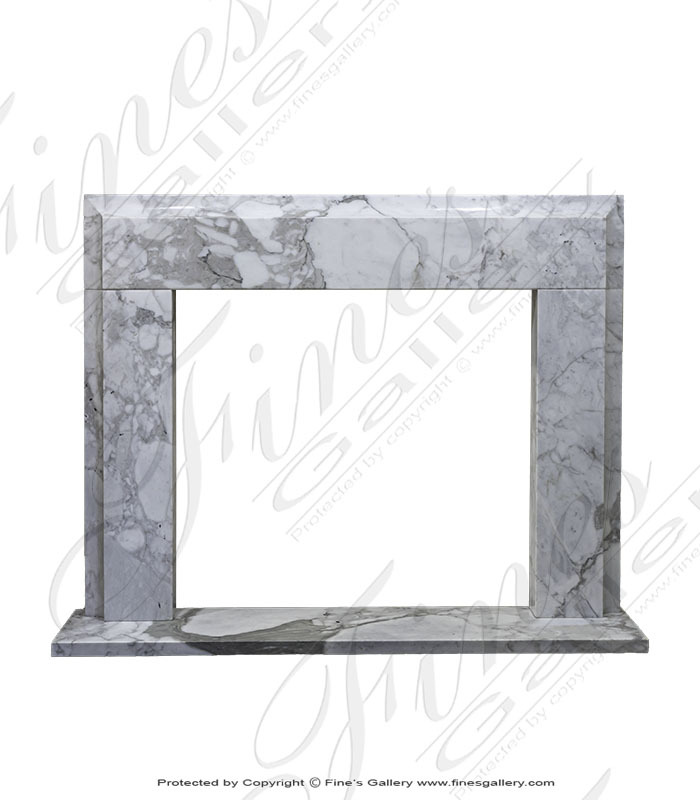 Gorgeous fine marble is carved with flawless detail into this luxurious fireplace surround. The beauty and sophistication of this modern design will leave lasting impressions of luxury and elegance. Contact us today for personal sales assistance. 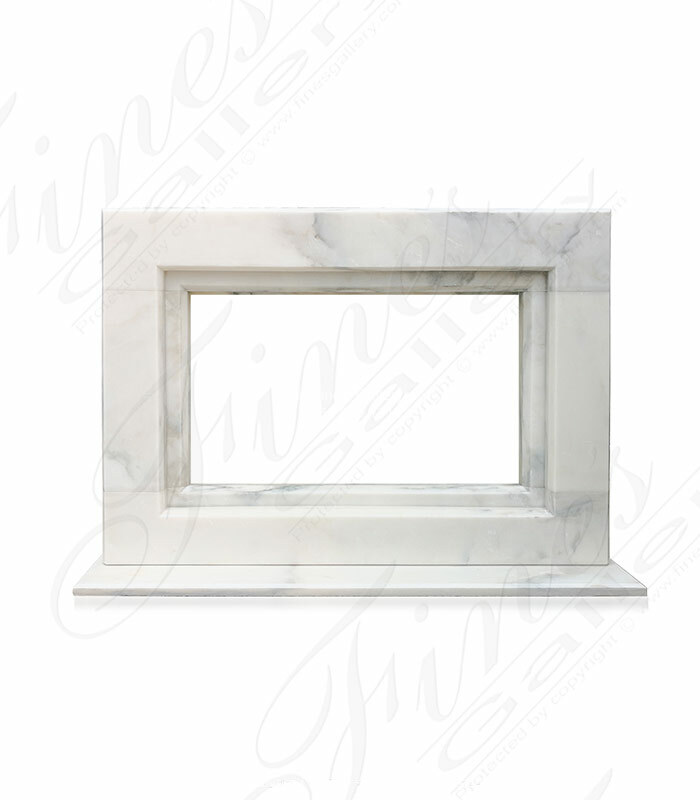 The Classic Calacatta Surround featuring hand selected italian quarried calacatta marble. Experience the Fines Gallery difference. 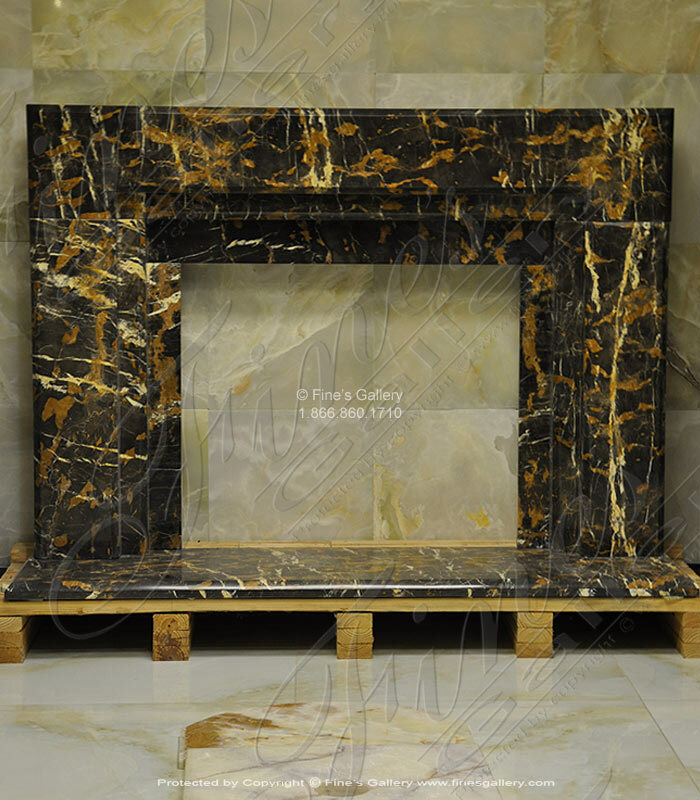 We stock hundreds of exotic italian marble fireplaces delivered worldwide. Reserve yours today 1.866.860.1710. 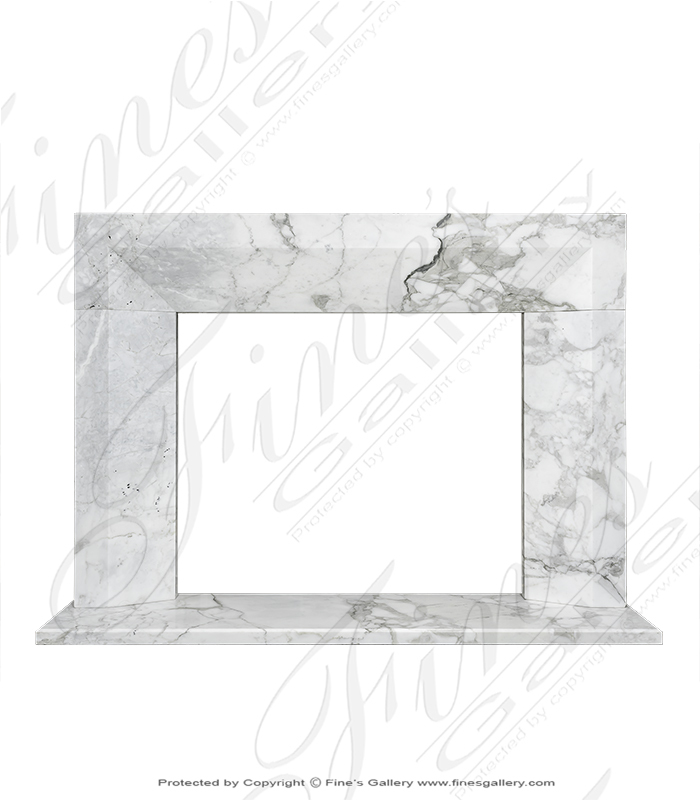 The 2020 Arabascato Marble Surround has been designed for present day architecture featuring exotic gray veined white marble. 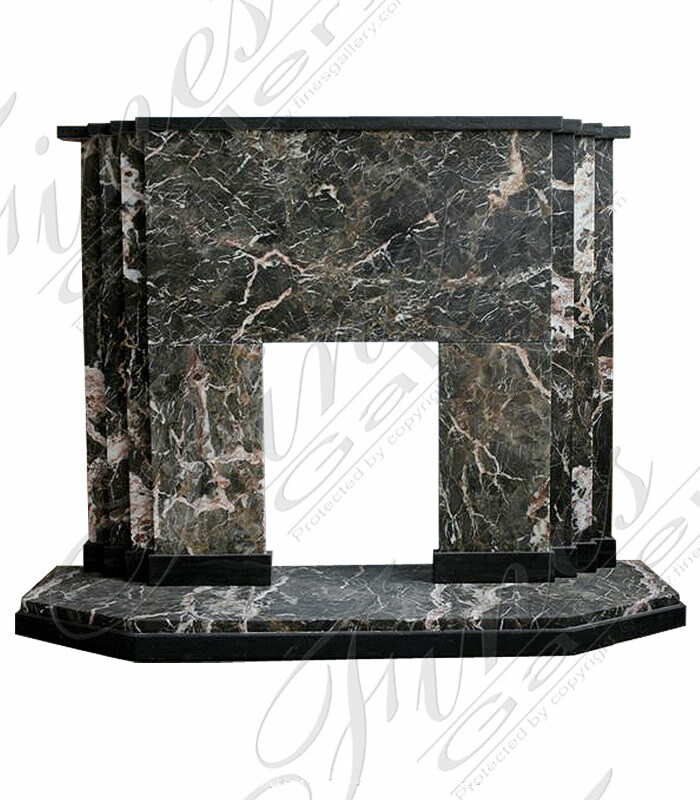 Includes matching marble back splash to provide flexibility to fit any gas or electric firebox.